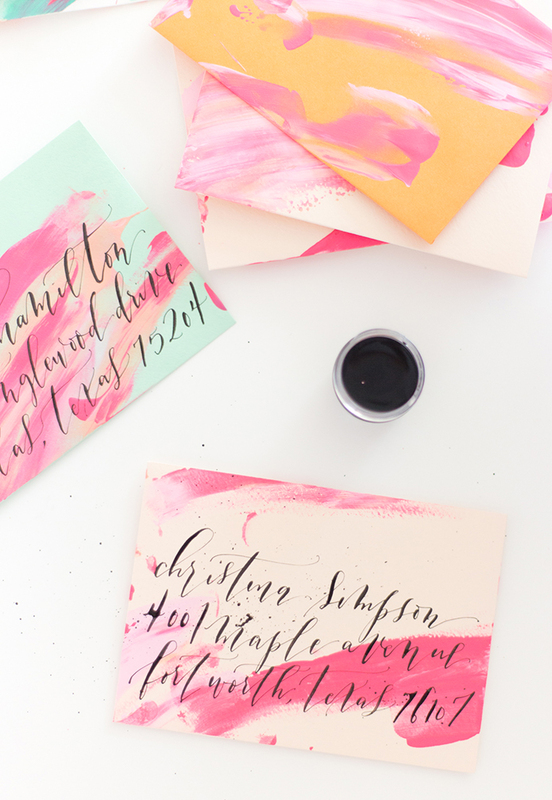 As an artist and calligrapher (and a total Type B person that lives in mild chaos on the reg), things get messy. 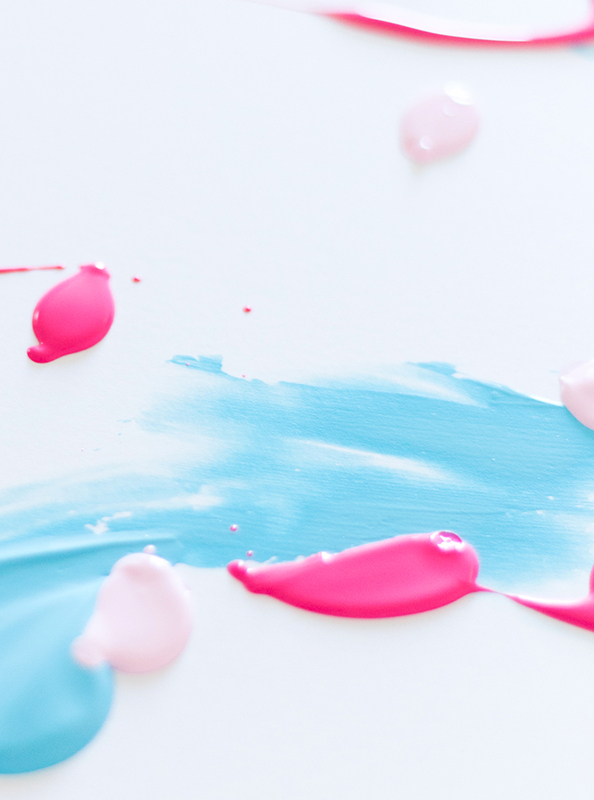 I honestly wash my hands umpteen times a day as I’m working on projects, mixing inks, and experimenting with new techniques. 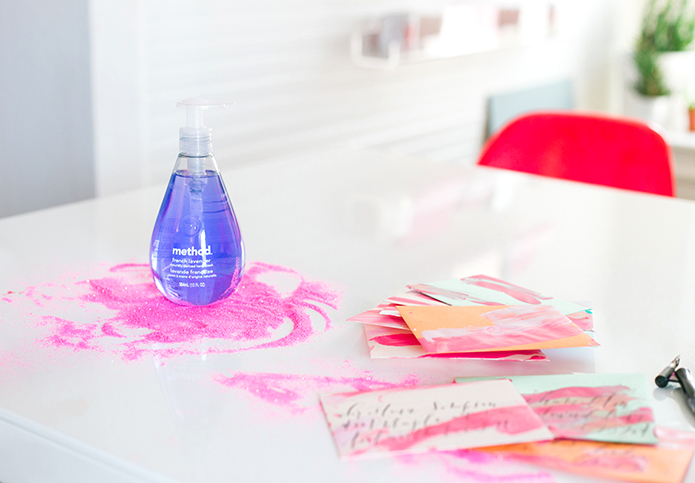 So partnering with my friends at method was pretty much a match made in heaven for this messy girl. 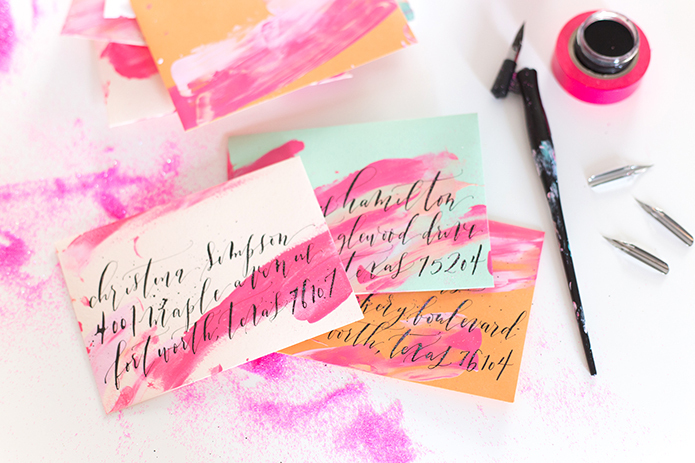 Working in the calligraphy world, it can be challenging to come up with fresh techniques and creative ideas, so I thought I’d try my hand at some abstract envelopes to embrace method’s #fearnomess campaign. 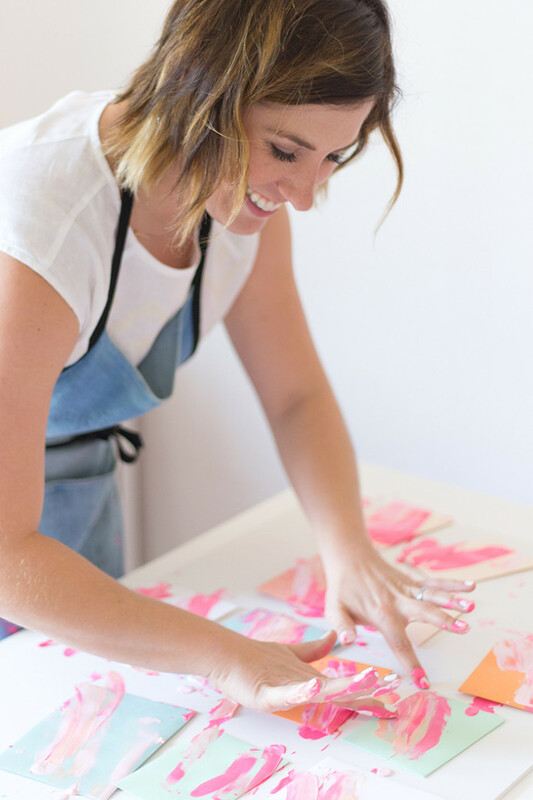 And let me tell you, I dove head first into this mess (and loved every minute of it). 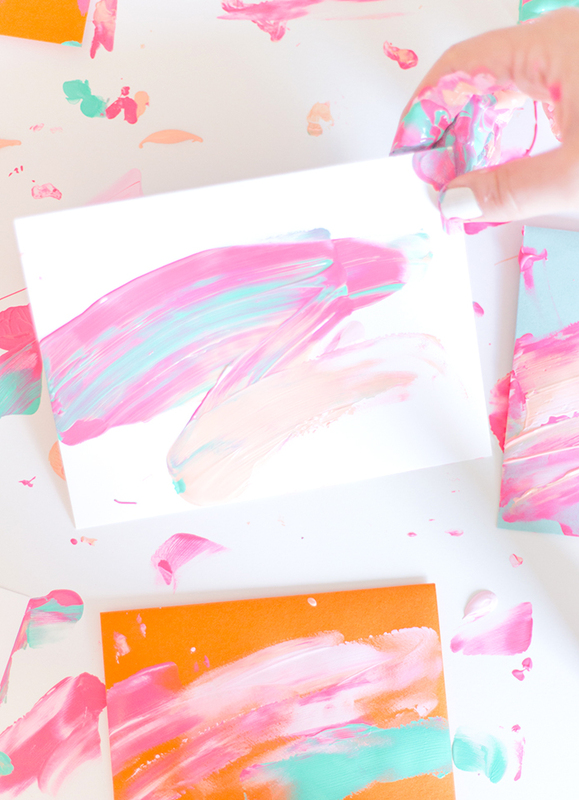 To create these fun, vibrant envelopes, I grabbed some acrylic paint and squeezed it out all over the envelopes, and then took my hands and smeared the paint in big, dynamic strokes. (Check out the video at the bottom of the post to get a really good visual). 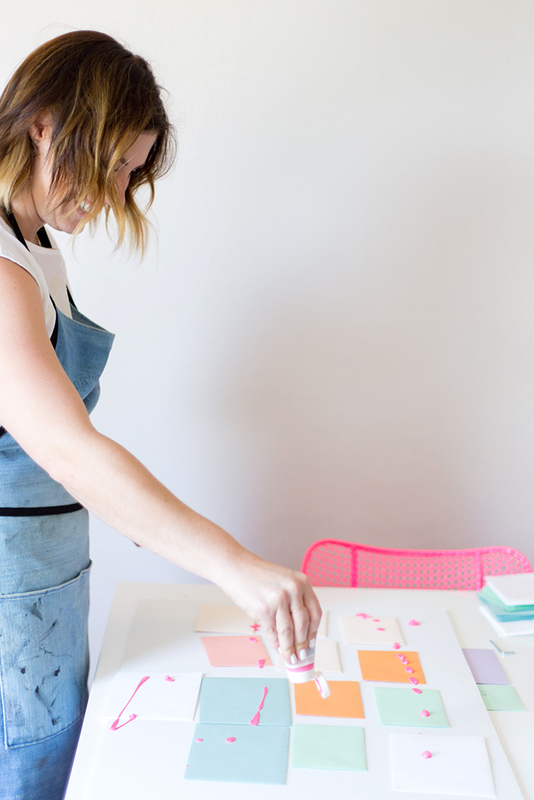 You’ll want to let them dry for a few hours before writing over the paint. 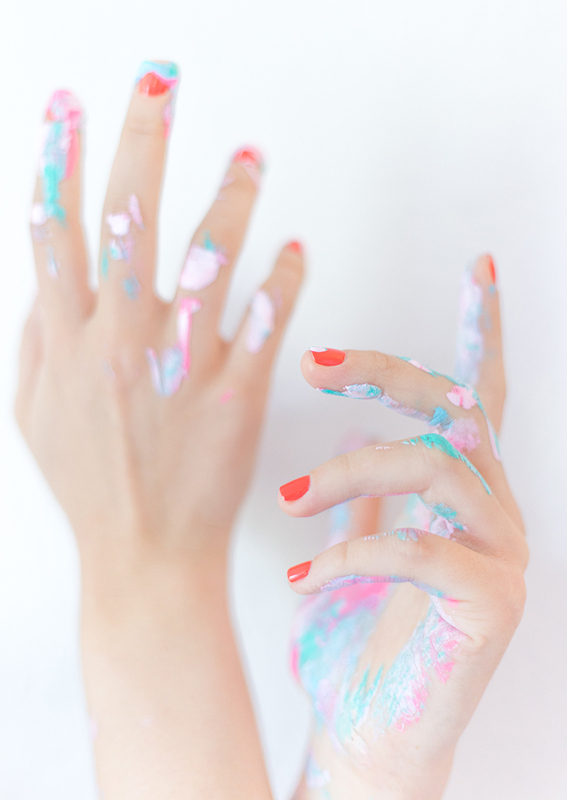 Once you’re done with the smearing fun, you’re left with some messy (and colorful) hands. 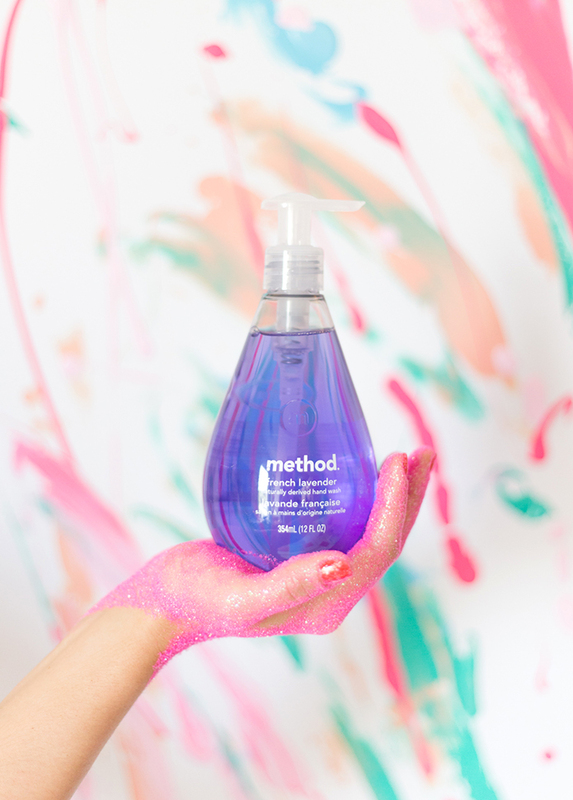 Enter method soap to the rescue. I used their French Lavender gel hand wash to clean up, and it smells so wonderful (and looks pretty in a sleek, modern package next to your sink). 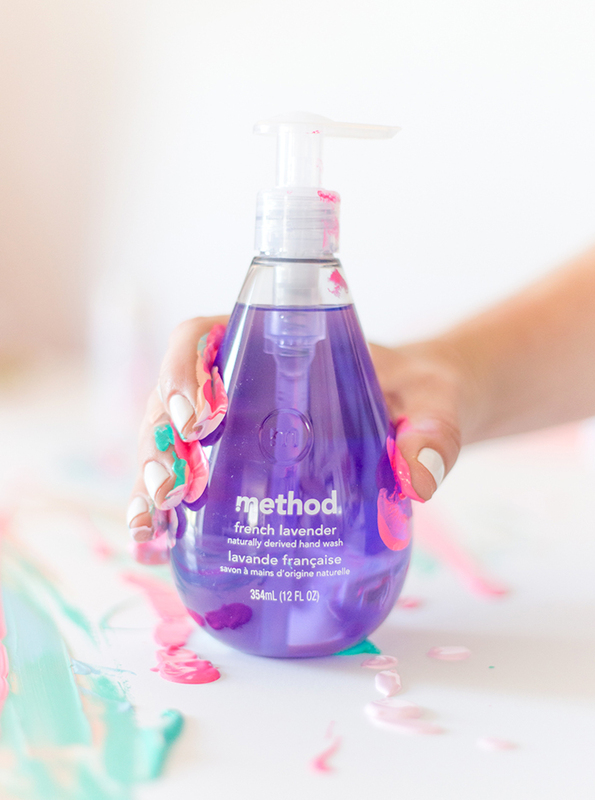 My favorite thing about method hand wash (besides the amazing smell and beautiful bottle): they’re totally animal-friendly. 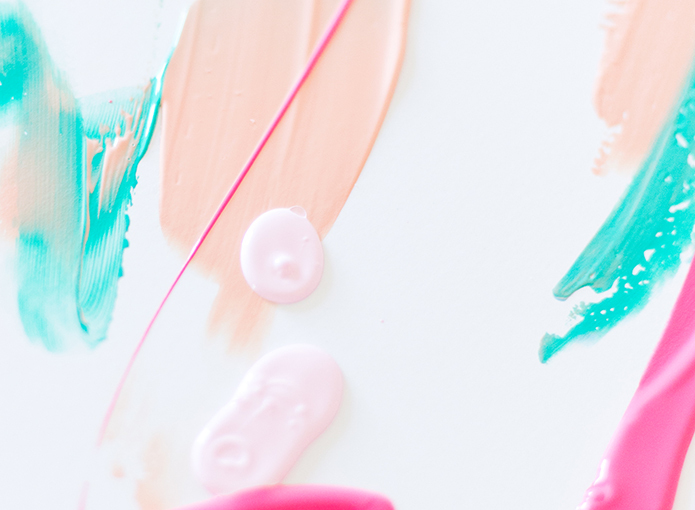 No animal testing, no animal bi-products. This makes this dog mom and animal lover a happy camper. 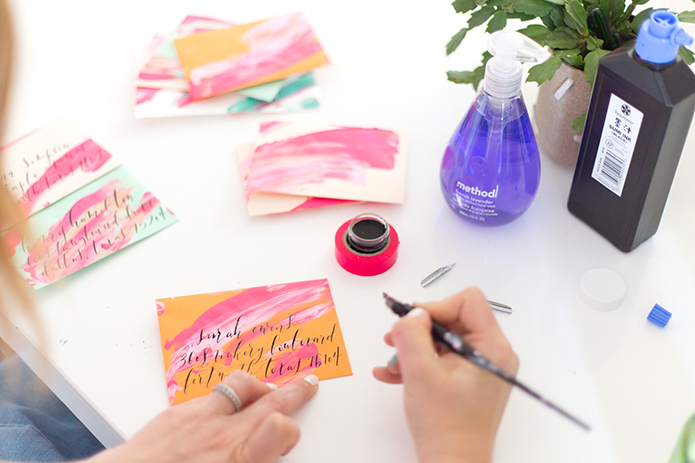 After I got cleaned up with my method gel hand wash, I went to work addressing my abstract envelopes. 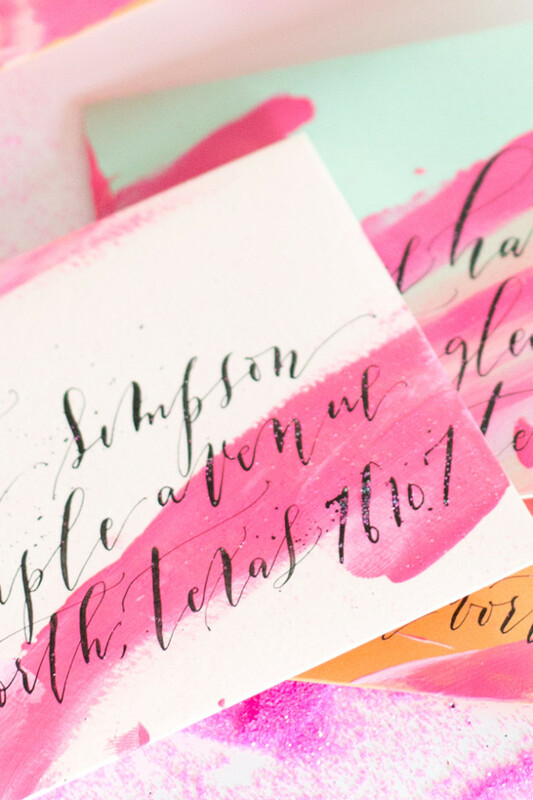 While the ink was still a little wet, I added another layer of pizazz on some of the envelopes with a dash of pink glitter. 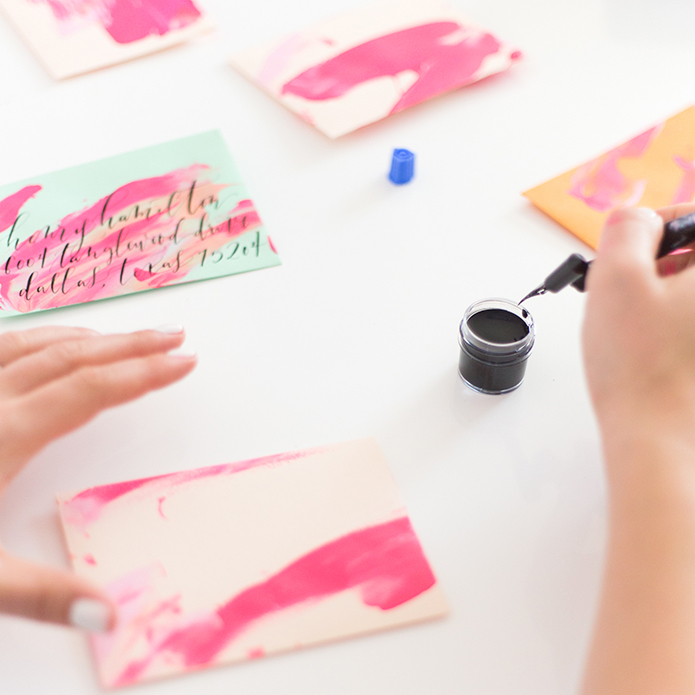 I let the glitter sit on the envelopes for a few seconds, and picked up the envelope and tapped all of the glitter off onto the table (think back to elementary school crafting).